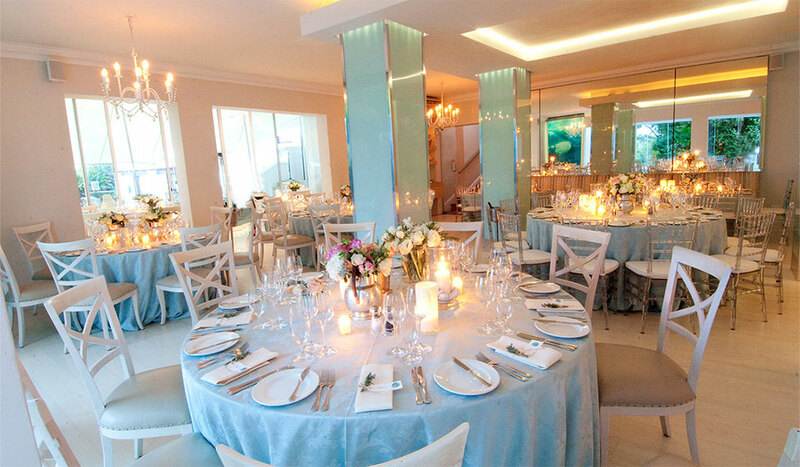 Whether you are looking for a grand location for up to 120 guests; a beautiful tucked away terrace for smaller ceremonies; a culinary hotspot to impress your guests with; or a secret hideaway to celebrate à deux – The Plettenberg and our dedicated events team will make your dreams come true. Light, bright and airy, this restaurant makes for a fairytale reception venue. The décor reflects its seaside location, bringing the sand, beach and sea inside, while guests can also admire the breathtaking ocean views. This area can accommodate 70 guests. 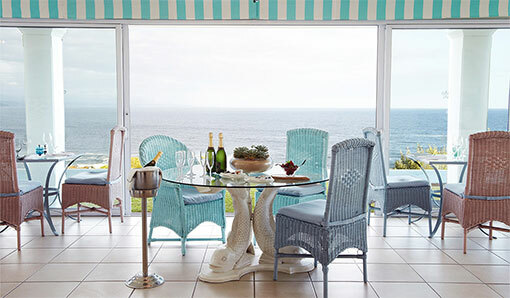 This space is situated at the main hotel and overlooks the sprawling Lookout Beach, with the Tsitsikamma mountain range framing the scene in the distance. The view is magnificent, with magical sunsets adding to the romantic feel. This area can accommodate 120 guests with a marquee tent. Tucked away opposite the main hotel, the private Blue Wing Terrace is a great venue for more intimate ceremonies. It overlooks Robberg Nature Reserve, the Lookout Rocks, and the Tsitsikamma mountain range, with seemingly endless ocean views. This area can accommodate 50 guests (standing). The Blue Wing is the perfect reception area for a small wedding celebration. The intimate venue’s design allows the outside to spill in, with ocean views and magical sunsets as well as the twinkling cosmos to admire as night gathers. This area can accommodate 30 guests. 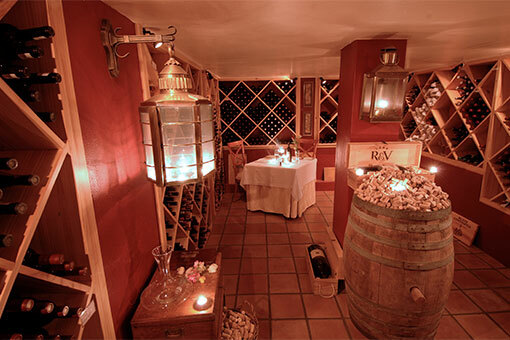 Our private wine cellar is just the place for an intimate, secret ceremony. We’ll warm the cellar with candles, the light bouncing off our collection of South Africa’s finest wines. We will also decorate the room with fresh flowers, to add fragrance and a touch of romance. This area can accommodate only two guests.